It takes a big team to keep our roads and bridges safe for travellers, but did you ever wonder who those people are or what they do? Well read on, because introductions are in order. Meet Cliff Razzo. 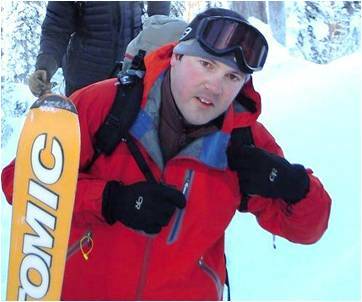 He’s an area manager who works in Creston, British Columbia. And what does he do? Well, let’s hear Cliff tell it in his own words. So, what is an area manager? The best way to describe an area manager is as a “local representative” for the ministry, especially in the case of working in an area office, where you’re often the only transportation employee there. As for myself, I work out of the Creston area office, and many of my office colleagues are from different ministries. Most of my transportation colleagues are 130 km away in the Nelson office. As an area manager you will become the face of the ministry in the community. Also you will spend time getting to know stakeholders and other agencies in the area and addressing their transportation concerns. Commonly, I find people in the community will approach me in public and ask if I am the “Highways Guy”. That said, I find most people who approach me are genuine in their concerns and just need some questions answered or someone to speak to. In this role you work closely with the maintenance contractor to deliver an effective program that deals with maintenance and infrastructure priorities within the area. In addition, you are always identifying improvements to the local road and highway infrastructure. You become the advocate for your area. A typical day starts around 7:30 am when I arrive at the office. If it has snowed overnight, I try to get out on the road to see how the maintenance contractor is managing. That might mean a trip to Kootenay Pass or a tour of the local school bus routes. Then I usually make my way to the office to catch up on emails and check my phone messages. The nice thing about my job is each day is different. 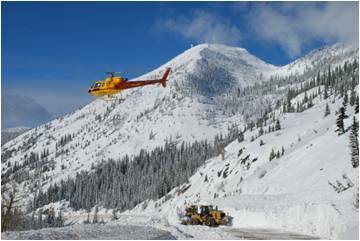 One day could consist of meetings with local stakeholders and the next day could be dealing with road closures due to high avalanche hazard on Kootenay Pass. What is the best thing about being an area manager? The greatest reward in this position is feeling that you have made a difference with local stakeholders, helping them to be successful with their business and/or operational needs while ensuring a safe and efficient road network in your area. For example, I find it challenging and rewarding to work with the logging industry, ensuring they are able to move their products during seasonal load restrictions without impacting the local infrastructure or unduly effecting their operations. It’s important to me that we ensure industry is as productive as possible without impacting our infrastructure. Being on the road a lot, you must have a lot of interesting stories. What’s one that really stands out? One area that really stands out for me as an interesting place to work and travel through is Kootenay Pass on Highway 3 between Creston and Salmo. Kootenay Pass is the highest year round mountain pass in Canada with the summit elevation at 1774 metres above sea level. A trip over Kootenay Pass never fails to disappoint with crystal clear mountain streams flowing along the highway while portions of the Selkirk Mountain Range soar overhead. You never know what you’re going to see while traveling over the pass. 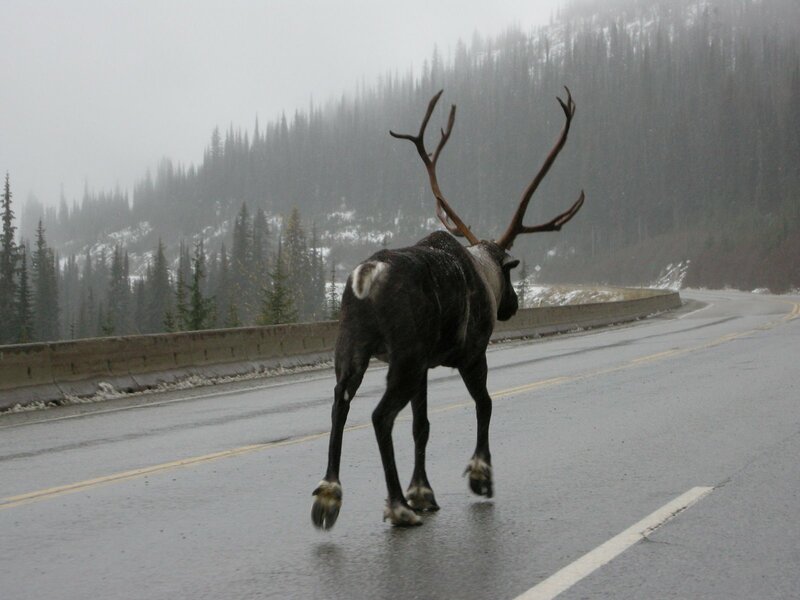 Besides observing the avalanche control and deposit removal in the winter, Kootenay Pass contains some of the most unique wildlife in the Kootenays. For example, one of my first times traveling over the pass, I spotted a large bull Mountain Caribou walking up the middle of the highway near the summit. He was quite massive and seemed not to be bothered by passing motorists. This encounter with the Caribou is an important reminder that we must be alert for wildlife along BC highways. Unfortunately the Mountain Caribou are limited in numbers these days. As a result, I have worked proactively with the Ministry of Environment and local environmental groups to educate motorist about the Mountain Caribou and for the potential to encounter them on Kootenay Pass. One of the many unusual sights Cliff sees. If you had one piece of advice for people, what would it be? If I were to give one piece of advice to motorists travelling over Kootenay Pass, it would be to take their time and drive according to the road conditions. Just because the posted speed limit is 100 km/h doesn’t mean you should travel that speed over compact snow or ice. It is a beautiful drive over the summit, so please enjoy the drive, and don’t forget to check DriveBC to “know before you go”. If you drive according to the road conditions, you should never have any issues travelling in the winter and reach your destination safely. Many thanks to Cliff for taking the time out of his busy schedule to share his thoughts and provide a little insight about what goes on behind the scenes here at the Ministry of Transportation and Infrastructure. 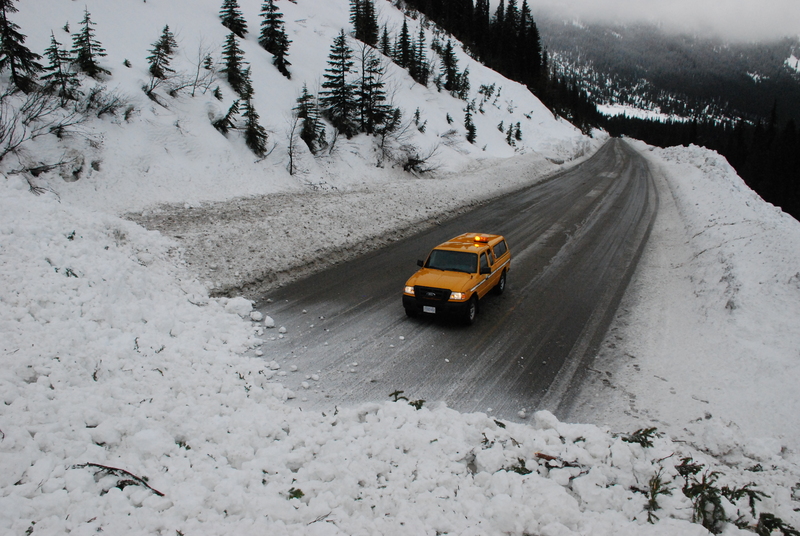 If you’d like to find out more about happenings in the area, follow @TranBC_KootPass. You would only see a moose walking on the road in Canada.